Here's an archived list of information that has appeared on our "air today" pages. Soul/easy listening music station 100.4 Smooth FM will launch on 2nd March in North-West England. Smooth is the replacement service for Jazz FM in the region. Just to clarify, Panjab Radio has now fully launched local DAB digital radio multiplex serving Bradford and Huddersfield. Broadcasting in mono at 96Kbps, the station is due to be joined by Yarr Radio on 15th December 2003, as we reported in November. Thanks to Gareth and Panjab Radio PR for the station info. Both CTR 105.6fm in Maidstone and Wells-next-the-sea's North Norfolk Radio have recently launched on the FM dial. You can also hear CTR live on the internet. Oldies and classic hit music station Classic Gold 954 & 1530 The Magic AM has recently been relaunched as Classic Hits on 954 & 1530 AM in Herefordshire and Worcestershire. The new station also has a new website. With thanks to Danny for the info. Panjab Radio has begun testing on the local DAB digital radio multiplex serving Bradford and Huddersfield. Broadcasting in mono at 96Kbps, the station is due to officially launch on the ensemble on 5th January 2004. It's not yet clear if this date has been brought forward. Thanks to Gareth for this info. The former 107.8 Thames Radio station has had a re-launch with a new name. 107.8 Radio Jackie is broadcasting now and can also be heard online. South Somerset and West Dorset's new Ivel FM is set to launch on 105.6 and 106.6FM at 10am on 26th October. Fame Academy Students Carolynne and Alistair will be joining the launch celebrations from noon at Porter Blacks and Woods Wine Bar in Yeovil. Both Heat and Mojo radio have now launched on Freeview digital tv in England. The two stations are still noticeably absent from the equivalent multiplex in Wales, however. The two stations launched on 25th September on channels 89 and 90 respectively. Thanks to Peter for the info. BBC Radio Wales and BBC Radio Cymru have both joined the Freeview digital radio platform in Wales. They have launched on channels 89 and 90 respectively. Emap is bringing its magazine brand Heat to radio. Heat Radio will play pop tracks from the eighties right up to the present day, with school disco hits and the latest music. The station plans its assault onto Freeview digital radio at the end of September, hot on the heels of Mojo Both stations can also be heard over the internet. 105-106FM Real Radio, has added another transmitter to broadcast in West Wales - Pembrokeshire, to be precise. 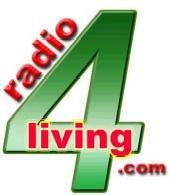 105.7FM is NOW ON-AIR - see our news pages and will come into action permanently at 8am on 3rd October 2003. We have Phil to thank for that nugget of information. Thanks, Phil! Mojo, the magazine highlighting the best soul, punk and reggae artists, is due to launch on Freeview digital tv as a radio channel before the end of September. The new station, which joins Q Radio, Smash Hits! Radio and Kerrang!, is part of media owner Emap' s plans to bring its successful magazine brands to radio. RTE Radio 1, the national news, talk, arts and current affairs station for Ireland is due to make a permanent appearance on 252LW - the frequency once used by Atlantic 252. The station takes its place on the frequency from October. The announcement of the winner of the new regional FM licence for the West Midlands has been put back to the same date as that of the Glasgow licence. This means both awards will take place on 2nd October. Thanks to the kind person who has e-mailed with the frequencies for Dearne FM, which is to launch in early October. The station will be heard on 102.0 FM in Barnsley and 97.1 in Penistone and the Dearne valley. The Dearne FM website is also available, with details of recruitment. Graham has e-mailed to say River FM has launched on 103.4 and 107.7FM, serving the West Lothian area of Scotland and making it into parts of Edinburgh and Fife. The station officially launched at 7am on 3rd September. The station has a website up and running. Thanks for the information, Graham! Simon has written with news of the launch of Classic Gold GEM on the local DAB digital radio multiplex for Leicester. Classic Gold GEM, which broadcasts to Nottingham and Derby on 999AM is, as Simon points out, almost certainly the "pop hits" station proposed for the multiplex. Broadcasting in mono on DAB in Leicester, another service has yet to be found to occupy the slot originally reserved for Saga 106.6FM. Thanks for the information, Simon. Delta FM has launched on 101.8FM in Petersfield, Hampshire. The extra frequency was awarded by the commercial radio regulator as it is close to the area in which Delta FM already broadcasts. Spirit FM which serves Chichester, Bognor Regis and Littlehampton is also expected to power up another transmitter for listeners in Midhurst, shortly. Passion 107.9 has launched in Oxford within the last couple of months. The station, which previously went under the name Fusion 107.9, has changed hands and now offers "Oxford's Sexiest Dance & R'n'B". A brand new radio station playing the best of rock, pop, soul and chilled music has launched on Freeview digital tv channel 86. Q Radio, based around the music magazine, will supply round-the-clock music to Freeview digital tv subscribers. "Official launch is on the 30th June. The multiplex is on channel 12A and can be heard from Thirsk up to Chesterfield (picked it up in my car on the A19 near Thirsk and then lost it just over the border into Derbyshire on the M1). The line up is similar to other MXR services, with localised news on Heart and Smooth with a feed of Jazz FM 100.4 from Manchester (as opposed to London's 102.2). The DNN news service comes from Real Radio in Leeds." Thanks for the note, Jonathan - the multiplex is now testing, as you say, ahead of its official launch. A full line up can be found on our regional stations page. Smash Hits Radio is making yet another appearance on local DAB digital radio. As well as on Freeview, the station can be found on the local DAB multiplex for Bradford and Huddersfield. We have Peter to thank for letting us know. James has e-mailed to let us know that Smash Hits Radio is now broadcasting on the local digital radio multiplex for Peterborough. Thanks, James. Millennium 106.8 is no longer, having been relaunched as Time FM 106.8. The new station, playing Bexley and Greenwich's All Time Favourite Music can be heard now on 106.8FM in parts of Greater London. Correspondent Paul has written with news of the new pop station to launch on NOWdigital's local DAB digital radio multiplex for Norwich. Smash Hits Radio is broadcasting now. Capital Disney was originally planned for the multiplex. A full list of the new stations in Norwich is available. Thanks, Paul. Dance music radio station Dance Radio has been added to our listen live pages. Live tunes played by up-and-coming DJs from diverse venues such as clubs and bedrooms can be heard on the station. The mixes originate from DJs based in the UK and around the world. You can visit the Dance Radio website for further information about the DJs. New internet radio station NonStopPlay has been added to our listen live pages. Playing the freshest current dance hits, dance floorfillers and new releases, the station officially launches on 4th May 2003. You can visit the NonStopPlay website. The new local radio station for Worthing in West Sussex, 107.7 Splash FM is due to go on-air on 5th May 2003. Already lined-up to present shows are Dave Benson-Phillips and David Hamilton. You can read our archive news story for further information. We've added body-and-mind issues station radio4living to our listen live pages The station also broadcasts some Christian features, too. Correspondent James has written to let us know that Vibe FM 105-108 has at last launched on the local DAB digital radio multiplex serving Peterborough. As James points out, this is no doubt to coincide with the launch of the Norwich DAB ensemble, in which Vibe FM also features. Thanks for the information, James. Three new music stations have launched in Norwich following the switch-on of the local DAB multiplex for the area. A full list of stations is given in our news item about the Norwich multiplex. Station listings can be found on our Norfork page. Ashley has written to confirm that both SouthCity FM and Southampton Hospital Radio are still on Channel 9, contrary to an item on this site stating otherwise, earlier in the week. Thanks for the clarification, Ashley. See our South Hants listings for full multiplex information. The soul service, due to have launched on Score Digital's Ayr multiplex in Summer last year, has been replaced by Smash Hits Radio, a pop and r&b hits station. The multiplex is still missing both a modern rock and easy listening station. Full listings on our Scotland pages. Commercial DAB digital radio operator Digital One has switched on a new transmitter serving Ammanford, Llandeilo, Gorslas and Pontarddulais and parts of Carmarthen, Llanelli and Swansea in South Wales. Listeners in these areas with a DAB digital radio tuner can now tune in to the national commercial DAB stations. The local DAB digital radio multiplex for South Hampshire has launched. More in our news article. The local DAB digital radio multiplex for Swindon and West Wiltshire is on the air now. More in our news article. The East Midlands' brand new radio station, Saga 106.6FM is getting ready to launch on Tuesday 11th February 2003 at 7am. More in our news article. Paul, listening to DAB digital radio just outside of Bath, has written to confirm that Capital Disney, Passion, The Storm, Kiss and SBN have all launched on the local DAB digital radio multiplex for Bath and parts of West WIltshire on Block 12D. Thanks, Paul. More in our news article. Well, the launch of NOWdigital's two multiplexes may have been delayed, but our correspondent Paul is listening to Classic Gold (936) and Bath's GWR FM right now. Looks like these two stations are testing in preparation for the go-ahead for the official launch and notification. The Swindon and West Wiltshire multiplexes, due to go on-air at the end of January, have been delayed by the lack of international clearance. There have also been some service changes. MTV Dance is on DAB no longer. The station has disappeared from the local DAB digital radio multiplex serving Cardiff and Newport. Incredibly, this leaves Xfm as the only station that is exclusive to DAB on this multiplex. Thanks to Ceri for letting us know. You can check our South Wales listings for more multiplex information. Real Radio has disappeared from Emap's local DAB digital radio multiplexes in Liverpool (according to our visitor Mark), Central Lancashire, South Yorkshire, Leeds and Humberside. Emap is bringing Smash Hits Radio to the remainder of its multiplexes (it is already broadcasting on some multiplexes). Please see our Liverpool and North-West and Yorkshire and Humberside listings for updates. Real Radio has been ousted from Emap's local DAB digital radio multiplex in South Yorkshire, according to our correspondent Martin. Smash Hits Radio is now up and running as its replacement. It's not yet known which other Emap-operated multiplexes are to take Smash Hits Radio. It is understood rock-and-metal station Kerrang! may appear on some of Emap's multiplexes in the future. Real Radio disappeared from the Tyne-and-Wear and Teesside multiplexes some time ago. No less than 3 brand new local DAB digital multiplexes are set to launch on or near the end of the month. West Wiltshire, Bath and North-East Somerset's multiplex will appear on Block 12D, Swindon and the rest of West Wiltshire on Block 11C and finally the South Hampshire multiplex, which will also cover Southampton and Portsmouth, will launch on Block 11C. Kiss has launched on DAB digital radio in Bristol this evening (30th July). The station should also be cropping up on the Coventry and Warwickshire local digital multiplex and on DAB digital radio in Wolverhampton. The station already broadcasts to London on 100FM and on digital radio in the city, in Northern Ireland and on many local digital radio multiplexes in the North of England. The station can be reached via our live dance music links. 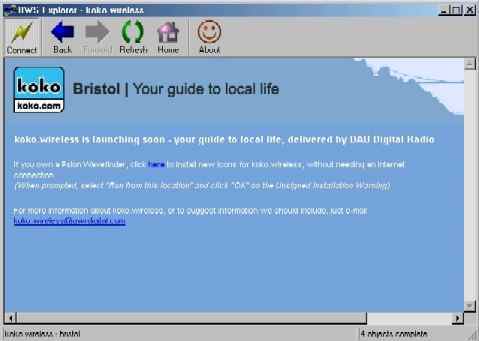 The new station replaces a CD service, which had been running since the launch of the multiplex in Bristol. It is likely that Kiss will be appearing on all future NOWdigital local multiplexes that have featured a dance service as part of an application. Koko.wireless, the data channel on NOWdigital's Bristol local digital multiplex, will be carrying photos and text messages from GWR FM's Summer XS free music concert this Thursday, 8th August. The concert, featuring performances from Toploader, Darius and Hearsay, will form part of the SWEB International Balloon Fiesta taking place at the Ashton Court Estate until Sunday. Koko.wireless is available through BWS Explorer, a free add-on to DABBar, alternative software for the Wavefinder DAB digital radio antenna. Rugby FM, the new station for the Warwickshire town, will launch on 31st August 2002. Preparations are being made at the studio complex in the town. You can find out more about services in Warwickshire on our listings page. Two recent additions to our live streaming pages: Kerrang is available again for a limited time, broadcasting online as well as on FM radio in Birmingham for 28 days. M1 Radio broadcasts the latest dance music, hip-hop and r&b online. Both can be found via our live links. The BBC's new urban music radio station, 1Xtra, will launch on 16th August 2002 on DAB digital radio and on the internet. The first commercial radio station for South-West Wales, Radio Pembrokeshire is on the air now in Milford Haven, Pembroke Dock, Haverfordwest and St. David's on 102.5FM. It's on 107.5FM in Tenby. The station launched on 14th July. 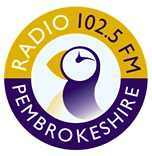 The new Radio Pembrokeshire website is now available and the station is webcasting (subject to registration). Young Asian Radio (YAR) is set to launch toward the end of the year, having appeared as a test service on the local DAB digital radio multiplex for Coventry. Flix Radio has gone from the multiplex. An Asian service was the expected replacement for discontinued soul music service The Rhythm, but its not yet clear why Flix Radio has also made way for the new service. It is thought the new station is part of radio operator Sunrise Radio. Thanks to Simon Parry for the above information. New stations on NOWdigital's Southend DAB multiplex are set to appear later than expected. Green issues and adult MOR station Passion will launch by 3rd September 2002, whilst the rollout of the dance service has been put back until 31st August 2002 at the latest. The country music channel is lined up for an Autumn launch and will have to be on-air by 30th November. The DAB transmitter serving Southend will be operational by mid-July. Classic soul music station The Rhythm will be officially replaced by adult contemporary music-and-talk station Passion on the local DAB digital radio multiplex for Bournemouth. The Rhythm had been scheduled to appear on the multiplex for its July 2002 launch, but the station has since disappeared from a number of NOWdigital's local multiplexes. Exeter and Torbay's new DAB digital radio multiplex, due to come on-air in Autumn 2002, will not initially launch with movie music station Flix or the planned dance music service. The delayed services will have to be on-air by 30th November 2002. The launch of Peterborough's new local digital radio multiplex has been put back to 31st October 2002 at the latest. The proposed country music service is scheduled to go live by 30th November 2002. You should koko.wireless, but only if you have DAB digital radio via a Wavefinder in Bristol (!) Wake up and smell the koko? Listeners to DAB digital radio in the Bristol area on the Wavefinder digital antenna will be able to pick up koko.wireless, a new data service on the NOW Bristol multiplex. 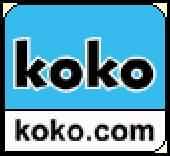 The service, due to launch on a date yet to be specified, will be based around the guide to local life available on the koko website. Few details yet, but an e-mail address is given to which any comments or suggestions about the service may be sent. View of the current koko.wireless 'holding' page - seen using BWS Explorer, an add-on to the excellent DABBar software. Bristol and Bath's brand new easy listening music station has launched on DAB digital radio in stereo. Saga Radio Digital has appeared on the digital multiplex today as a 24 hour station, replacing the CD on continuous play. You'll find a link on our Bristol and Bath listings page. Saga is also launching on the local digital radio multiplex for Essex tomorrow. Our Guide to DAB digital radio lets you know how to tune in. Saga Radio is broadcasting on local DAB digital radio across many parts of the UK, including London and Central Scotland. It also broadcasts on 105.7FM in the West Midlands. In other digital news, Swansea's local DAB digital multiplex is up for grabs. It is believed The Wireless Group and Emap will make a joint bid for the multiplex, which will carry BBC Radio Wales and BBC Radio Cymru. Broadcast magazine's website has had a makeover and dropped its curious web address - Produxion.com - to relaunch as BROADCASTnow. You'll find a link on our news page. Correspondent and supporter Mark Laker from Teesside brings exclusive news that all of Emap's Big City stations are now streaming online. Manchester's Key 103 makes a welcome return - minus the webcam present in the original streaming - alongside Tyneside and Wearside's Metro Radio. Lancashire's Rock FM, Liverpool's Radio City, Teesside's TFM, Leeds' Radio Aire, Sheffield's Hallam FM and Hull's Viking FM are all streaming online now on our listen live : pop music page. We have Mark Laker to thank for these links. Emap Digital Radio has announced the launch of Smash Hits Radio on local DAB digital radio multiplexes that it operates. From Monday, 27th May 2002, the magazine-to-tv brand will be appearing on the Teeside, Tyne & Wear, Central Lancashire and Liverpool DAB digital radio multiplexes. It is believed the Humberside, Leeds and South Yorkshire local multiplexes will also take the new service, though not straight away. CE Digital, jointly owned by Emap Digital and Capital Radio, will also launch the service on Manchester and London digital platforms. Smash Hits will also launch on the Central Scotland regional DAB multiplex. Emap is reportedly planning to launch a rock music channel on its multiplexes at the end of this year or early in 2003, based around its Q and Kerrang! magazine titles. This follows a successful trial of Kerrang! as an internet station earlier this year. The trial station has now closed. Local DAB digital radio has launched in Essex. Chelmsford and Southend's new services are BBC Essex, Classic Gold Breeze, SBN (student broadcast network), The Storm (modern rock), and Essex FM. The multiplex officially launched on Monday, 20th May. Easy listening music and talk station Saga is due to launch on 1st June, Passion - a world music and green issues station - in September, with a dance music service and country music station (possibly Ritz) completing the lineup towards the end of the year. Flix Radio was originally planned for the Southend multiplex. The switch-on of local DAB digital radio services in Exeter and Torbay is to be delayed until later in the year, apparently due to frequency clearance issues. The multiplex was due to launch this Summer, but a revised date is likely to be October/November 2002. Thanks to Russ for this information. As we first reported on Thursday, 16th May, Real Radio Yorkshire has launched on the web. Well, now Scotland joins the online streaming set, which means you can now catch local shows including Robin Galloway at breakfast on Real Radio Scotland. You can listen on our listen live : pop music page, under our Scotland listings. As Nick Abbot pointed out on tonight's Late-Night Phone-In show, the Real Radio Yorkshire live audio feed is now up and running. You can listen on our listen live : pop music page, under the Adult Contemporary heading. The station already webcasts its Wales output. If you tire of efforts from other stations, here's a dance station worth tuning in to on the web. Energy Mix is broadcasting 24 hours a day from the West Midlands across the UK via the internet. Plus, the station has a cool website and a neat player. Go visit! You can tune in on our listen live : dance music page. Wavefinder users in Bristol may just be able to pick up the BBC's national DAB digital radio multiplex. The multiplex could be picked up this week in the city. Whether it's the clear skies of the last few days or just pure luck that we could tune in, unfortunately the signal has disappeared back into the red. It may be worth doing a scan to find out if you can hear the services. Surfers can now access the lastest news and sport bulletins from BBC Radio Northamptonshire on the web, via our listen live : news & talk page. Thanks to Robert Winter for letting us all know. EXCLUSIVE! The brand new Access Radio station for kids and teenagers, Takeover Radio, broadcasting on 103.2FM in Leicester, can be heard via the internet on our listen live : pop page. The station broadcasts shows, sketches and features presented by young people. The station has a brand new website, featuring the voice of Martin Clunes. You heard it here first. You can find out more about the station on our news pages. Gay radio station LBH Radio - The Scene is simplifying its name and relaunching as The Scene on 1st April 2002. LBH Radio - Lesbian, Gay and Homosexual radio broadcasting across several digital platforms, namely Sky Digital channel 889 and on the internet, launched in the early part of 2001. The Scene also has a new website. Local digital radio operator NOWDIgital has made some changes to its ensemble of services on the Southend and Chelmsford digital multiplex. The multiplex is due to launch in May 2002. Classic soul music station The Rhythm is being replaced by Passion, a world music and 'green issues' talk station. In a similar move by the company, discontinued station The Rhythm will be replaced by a station serving young Asians on the Coventry digital multiplex (likely to be Tap, also on digi radio in London? Ed.). Sunrise Radio already broadcasts on the city's ensemble, but the new service will launch alongside. The new Asian service is set to appear on the Wolverhampton, Shrewbury and Telford multiplex as an additional service. Local news on 3C is to be delayed until April 2003, it has been revealed. The Ayr and Dundee/Perth multiplexes - not yet on air anyway - will not broadcast local news until after this date. The Perth and Dundee local digital radio ensemble will launch in September 2002, following news that operator Score Digital has not yet exchanged contracts with two key service providers. The multiplex was due to launch this Spring. The Kinross transmitter will also see a delayed switch-on date, put back to October 2004 at the latest. The delay has arisen because of difficulties in signing up Kingdom FM to DAB digital radio. October 2003 will see the switch-on of the Pitlochry DAB transmitter. Between them, the two transmitters serve only 10,000 adults. Local station serving Knowsley, near Liverpool, has launched its new website. The new KCR FM website is available now. Thanks to Mark Jones for letting us know. Real Radio Yorkshire is getting ready for its 08:00 GMT (UTC) launch on 25th March. You can find frequencies on our regional station pages. The brand new UKRD Group website has been launched. The site provides contact information for all Star-branded and other local radio stations operated by the company. The site also brings news that Cat FM in Tewkesbury and Cheltenham has rebranded as Star 107.5 and The Falcon has flown the nest to be replaced by Star 107 serving South Gloucestershire. In a separate move by UKRD, Romford's Active FM has relaunched as Soul FM. Star 107.5 launches with a brand new website alongside Soul FM. "It's time for a change in radio in North Somerset"
UKRD's Star radio brand has made its way into Somerset. Weston-super-Mare's WFM has relaunched as The new Star 107.7. The station was acquired from Wescom Media in a deal last year. The West's Favourite Music station changeover took place at 7:30am on Monday, 18th March. The BBC's brand new national digital radio station 6 music has launched. It took to the air at 7am on Monday, 11th March 2002 with a breakfast show presented by comedian Phill Jupitus. The station plays an eclectic mix of pop and rock music, from up-and-coming artists to established bands. Presenters at the station also include former Radio 1 stalwarts Liz Kershaw and Janice Long. You can listen online by looking under our 'Adult contemporary' audio links on the listen live : pop music page. Birmingham's local modern rock station, The Storm, on DAB digital radio is undergoing a short-term transformation at the moment. It has linked up with sister station 105.2FM The Storm - an RSL station currently broadcasting to Birmingham - to relay programmes to the DAB digital station. The presenters, promos and jingles are all different to the usual DAB service. Unfortunately, DAB's rather nifty feature of giving programme information isn't being used to its full potential. Apparently, the text displayed on a DAB receiver relates to The Storm's normal networked service. Whoops. Isn't technology great? All this was brought to you by Simon Parry. The BBC's Commonwealth Games radio station can be heard now in Manchester and further afield on 97.7FM. The station will cover all the action at the event running from 25th July to 4th August. For now, it's covering all the build-up to the action. You can tune in to the 'Full Commonwealth Games Breakfast' from 6:30am. Thanks to the anonymous person who let us know via our feedback form. One down, only BBC WM for Coventry & Warks, Radio Northampton and Radio Jersey to go. BBC Radio Gloucestershire is now on the web. News bulletins from the station can be heard on our listen now : news and talk page. We have Roger (long time, no hear - Ed.) and irrepressibly helpful Robert to thank for this information. On and off and on again (then off again). NOWDigital can't seem to make up their mind which student service they would like on their multiplex. Avid listener to DAB digital radio Simon Parry notes that SBN (Student Broadcast Network) has taken the place of RaW (Radio Warwick - University of Warwick student service) on the Coventry local DAB multiplex. SBN is currently broadcasting in Mono. RaW had been on the multiplex for some months, but has disappeared once again. NOWDigital has promised to provide local student programming on its student services. Watch this space for more information. BBC Radio Wales heard on DAB Digital Radio. EXCLUSIVE! 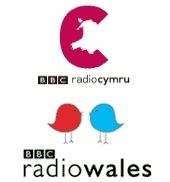 Ray Ward reports (4th March 2002) that BBC Radio Wales is now available on DAB digital radio, on the local digital multiplex for Cardiff and Newport. BBC Radio Cymru is due to launch on the same multiplex soon. BBC Network X to launch as BBC 1Xtra. The BBC's new digital radio station, provisionally titled Network X, will launch as BBC 1Xtra, it has been revealed (4th March 2002). The station will play urban music, garage and reggae. Taster shows will be heard on Radio 1 in March. The station was featured in today's back page of Media Guardian. The Wireless Group's Big 1458 AM has vanished from the airwaves in Manchester to be replaced by Capital Gold. The station relaunched this morning (21st February) following the station's recent acquisition by Capital Radio plc. Thanks to Lee for this information, after questioning its disappearance on our feedback page. Big also disappears from the Manchester local digital radio multiplex with Capital Gold taking its place. We've added GaydarRadio to our gay radio stations page, thanks to Chris Brennen, who has also supplied many of the Scottish live audio links and alternative feeds for the stations we're already listing. BBC add yet more audio streams. The BBC have added more news and sports audio streams to their portfolio, namely BBC Radio Cornwall, York, Suffolk and Hereford & Worcester. This only leaves BBC Coventry and Warwickshire, Gloucestershire, Jersey, Lincolnshire and Northampton without access to news and sport bulletins on the net. You can hear the latest news and sports bulletins on our news and talk page. A big pat on the back to Robert Winter, who has come up trumps again with this information. And remember where you heard all of these first, folks. Yorkshire about to get Real Radio 106-108FM. Gareth Webb has written to say that Real Radio will launch on Monday, 25th March 2002 at 8am on three frequencies between 106 to 108FM. It's testing on all three frequencies at the moment, one of them being 106.2FM. NOWDigital updates Essex and Bournemouth. Listeners in Southend and Chelmsford will be able to tune in to local digital radio from May this year. DAB digital radio listeners in Bournemouth, who were supposed to get local digital radio by March 2002, will have to wait until July at the earliest to pick up their local stations.